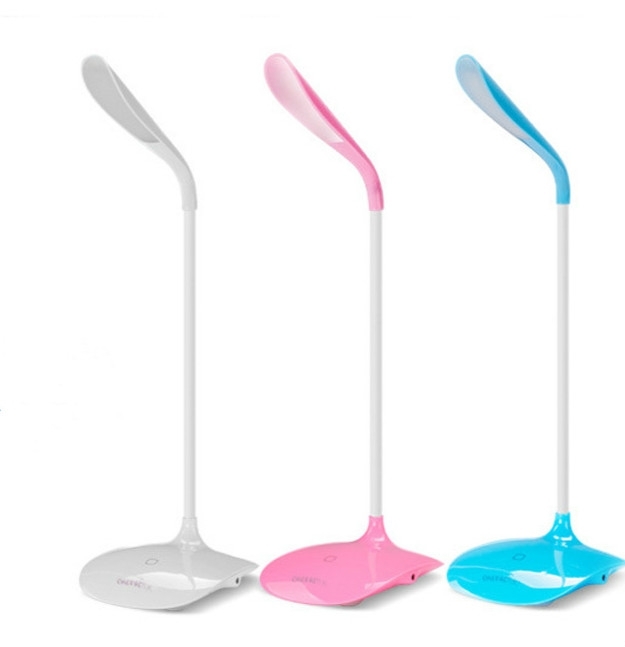 Fashion LED desk lamp with touch-sensitive control technology,there are 3-level brightness for choice. Free twist goose neck tube, 360 degree rotation, bent it to any angle as you like. Built-in battery can be recharged with USB charge cable we provided,portable with light weight, convenient to use at home,office or outside. Use advance technology that provides an even; flicker-free and non glare light, which is soft on your eyes and avoids eye fatigue. Package: 1 pc/box, 32 pcs/ctn, 40 lbs/ctn.